Zelda fans looking forward to playing Zelda Breath of the Wild on the new Nintendo Switch games console which will be launching during March 2017 and was this week demonstrated on the US TV show “The Tonight Show”. 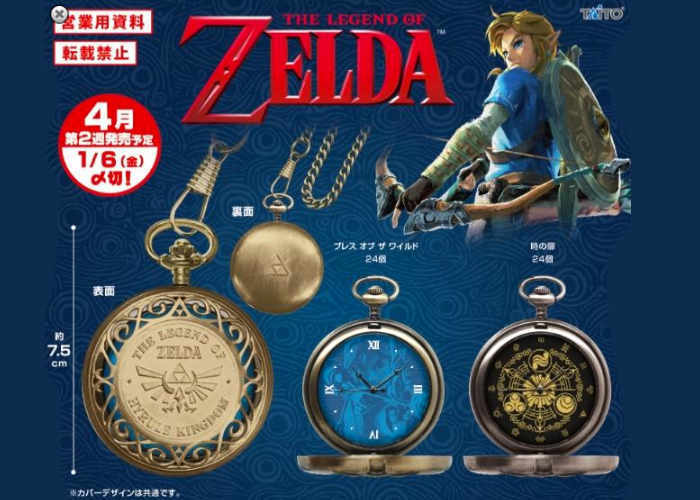 May be interested in these new official Legend of Zelda: Breath of the Wild pocket watches which have been unveiled via the game publisher Taito and are now available to preorder for around $21 or £17 and each pocket watch measures 7.5cm or in diameter. The pocket watches are expected to start shipping during April 2017, after the game’s launch sometime during 2017. Although it’s not expected to be a launch game for the Nintendo Switch console which will be launching in March 2017.